This book brings up all kinds of ooky questions that parents probably don’t want to ask themselves. Things like, “Do I really know my child?” and “Is my child capable of murder?” Not stuff that generally comes up in the school pickup line or over the dinner table. Andy Barber is an assistant district attorney who takes on a case involving the murder of a fourteen-year-old boy. 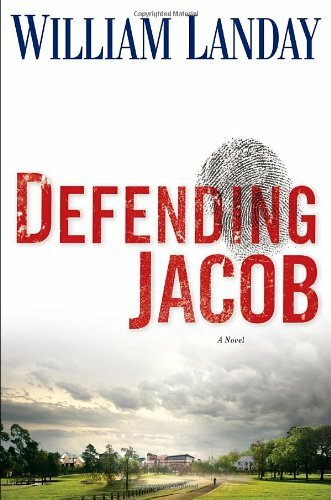 He rapidly loses control of the situation when his own son, Jacob, is accused of the crime. Despite his growing doubts about Jacob’s innocence, Andy continues to do everything in his power to clear his son’s name. This is a fast, absorbing read, and definitely provides much fodder for discussion (it was one of the recent selections of my book club). It also carefully steers clear of tired, predictable plot devices, which was refreshing. For example, there is no “killer tells all” scene at the end where the events of the fateful day are explained and all questions answered. If ambiguity isn’t your thing, this book will probably stretch you. But accepting ambiguity is a sign of maturity*, so you should totally try it! The dynamic relationship between Andy and his wife Laurie is also of interest. Their marriage founders as they struggle to come to terms with who their son is and what he may have done. Their uncertainty of his innocence is both logical and heartbreaking, and ultimately has disastrous results. Bottom line: Read this book, and shoot your children suspicious glances at the dinner table. *According to Me, anyway. I can cite no researched studies proving such. If you are aware of any, please email me the details, because I am far too lazy to look this kind of stuff up myself. On account of I’ve got a lot of pleasure reading to do and all.